Data Studio, Google’s free data visualization and business intelligence product, lets you easily connect to and report on data from hundreds of data sources. 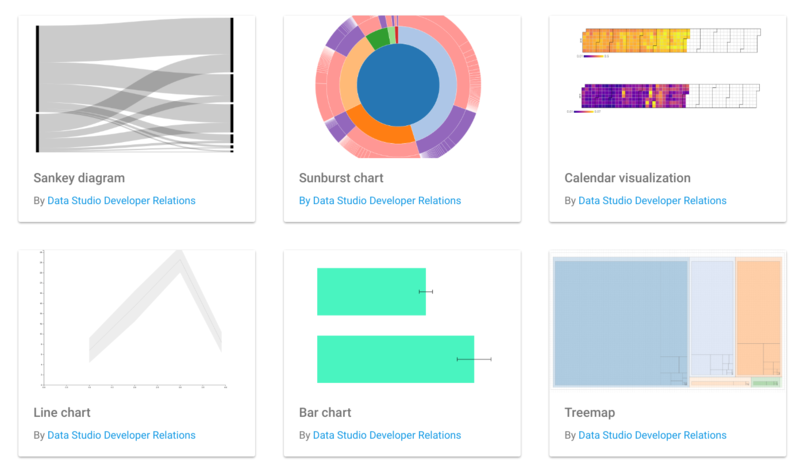 Over the past year, we’ve added more than 75 new features to Data Studio. We’ve heard from users that you want more chart options and flexibility, so you can tell more compelling stories with your data. 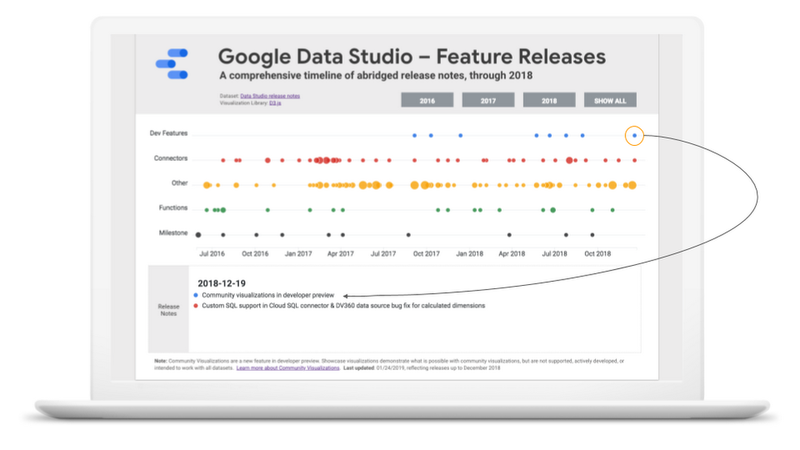 A custom-built timeline visualization of Data Studio release notes, highlighting the launch of community visualizations. ClickInsight, a Google Marketing Platform partner, has been experimenting with community visualizations. The reports you build using community visualizations can be shared, just like any other Data Studio report. Additionally, you can share your visualization, allowing others with the same needs to use the visualization. A developer preview launch means that the API is stable, and the feature is ready for you to use. We also have a roadmap of features and improvements to extend the capabilities of community visualizations and create an even better experience for users and developers. 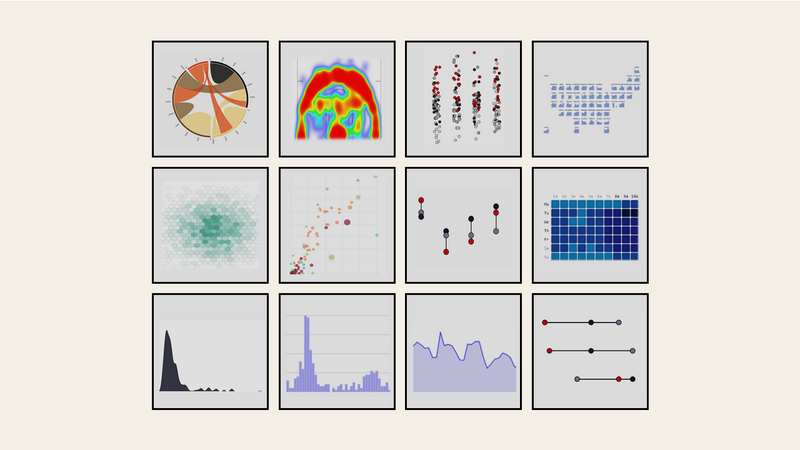 To get started visit the Data Studio community visualization gallery, complete the codelab, or visit our documentation. Once you’ve built a visualization you’d like to share, submit a report to the showcase, or share the code. Happy custom charting!